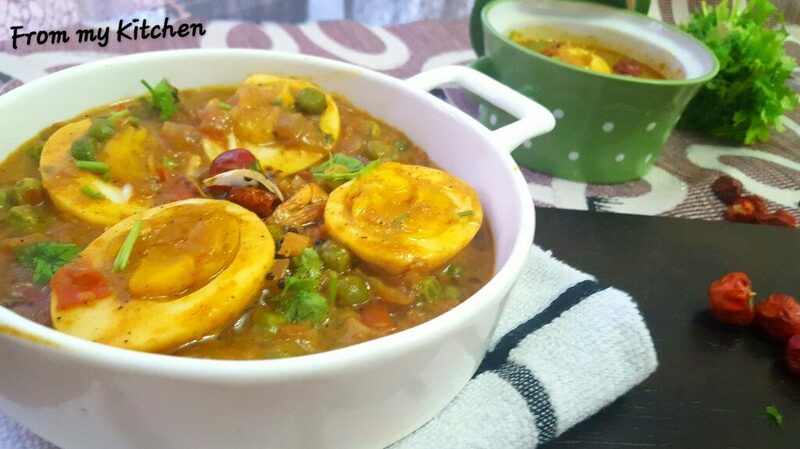 Simple and comforting food are all what we need when we are in a lazy and hungry mood.Here is such a comforting mildly spiced peas and egg curry that goes well with rotis and puri. Eggs are those ingredient that’s always stored in every kitchen. It cooks in no time and favorite for almost all. My life saver! 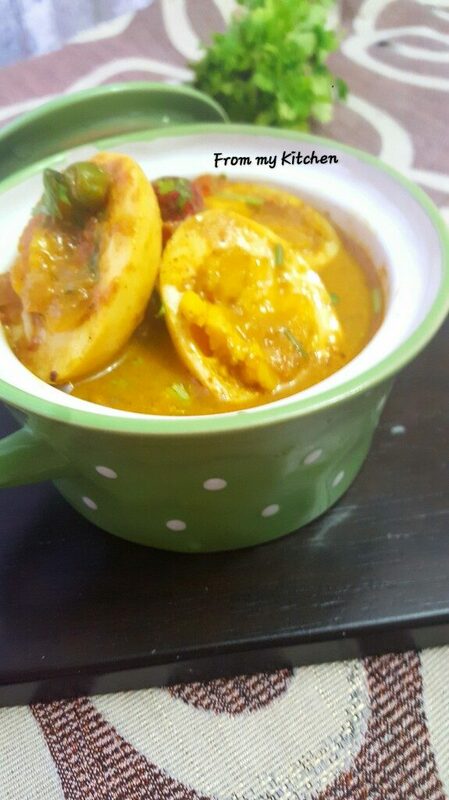 !hehe!The traditional yellow egg curry and pathil is one of my favorite comfort food! 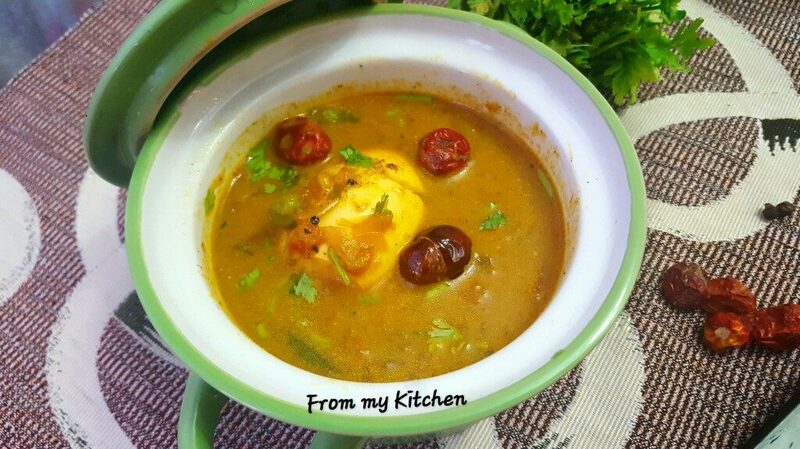 (from Malabar area)So if you are searching for simple spicy egg curry here is something different for you! 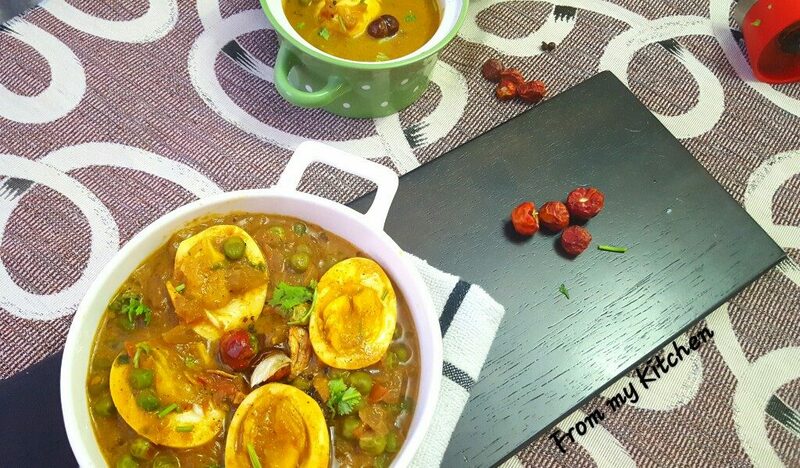 The combination of eggs and peas were very satisfying with that peppery flavor and creamy coconut milk based gravy !Goes well with any kind of rotis. In a pan pour oil add chopped onion,green chilly,ginger garlic and saute until the onions are translucent.Add salt. When its done add tomato and cook until mushy. Add chilly,turmeric,coriander,cumin,fennel powders and mix well pour some water and cook the gravy until the rawness of the masalas are all gone. 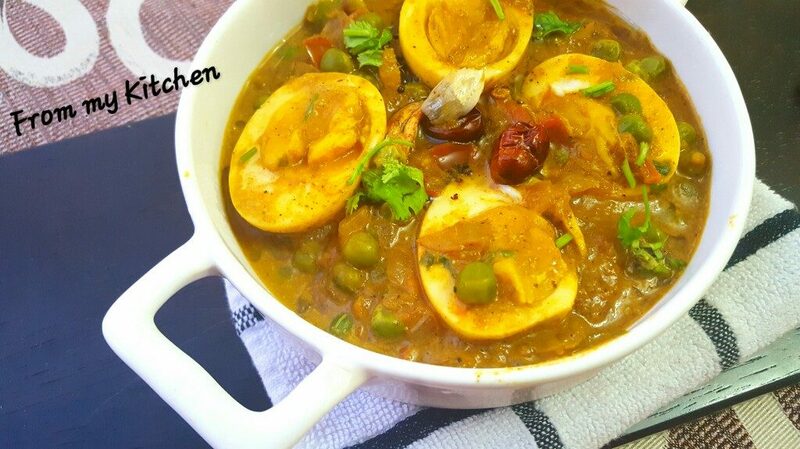 Add the halved eggs put the lid and let it boil for few minutes for the eggs to infuse that flavors from the masalas. Now add thick coconut milk and mix gently.Add garam masala and chopped coriander leaves switch off the flame.Make it to the desired thickness by adding less or more coconut milk or water. 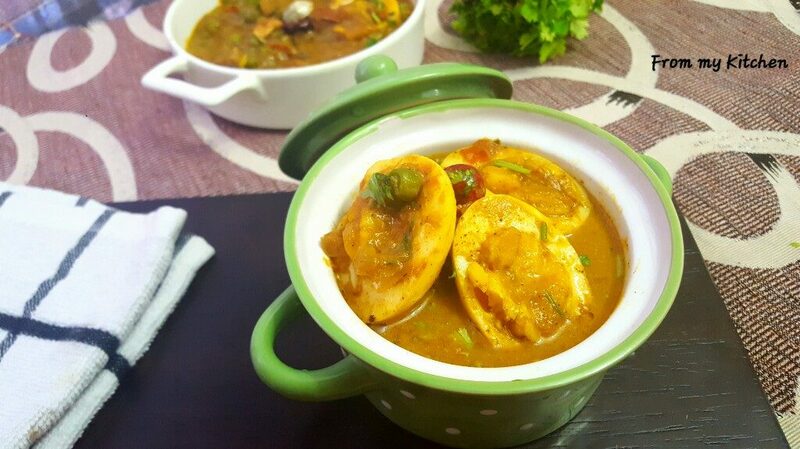 Mix it when you are ready to serve.The delicious peppery egg korma is ready to serve! Note:Adjust the pepper as how spicy you need the gravy. 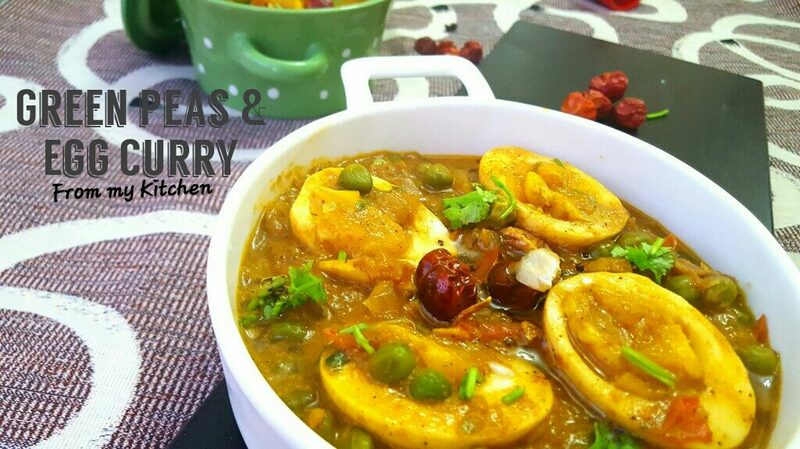 Enjoy with your favorite roti!Peppery and creamy with all those masalas and peas!Try it out its really yum! Hai,Welcome to my site!Myself Shazia,a passionate foodie who would love to experiment anything with food. 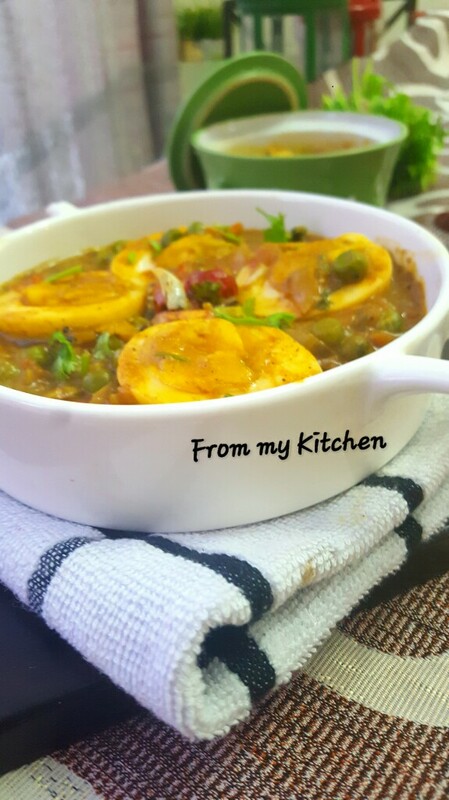 Here,you will get recipes i collected from different sources and glimpses of the magic I create in my own kitchen.Hope this site of mine will help you to find the best food! Thankyou for stopping here at my space ! !